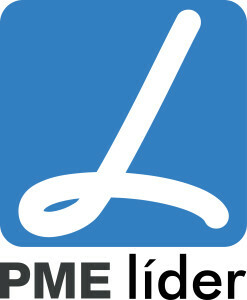 Xpand IT renewed in 2012 it SME Leader status, having been awarded under the FINCRESCE IAPMEI program. This status is assigned to distinguish national organisations with the highest performance profiles. Having been awarded as Excellence SME in 2010, this innovative company has been distinguished as Portuguese SME Leader every year since 2009. This award is given to companies with a clear and innovative strategy, companies with an entrepreneurial spirit and internationalisation capability.Being considered as SME Leader, Xpand IT has a greater market exposure, thus benefiting from a stimulating environment as we develop our activity. Xpand IT administrative office is based on Parque das Nações – Lisbon, having also a Research & Development Near-shore and Off-shore Center in Viana do Castelo, named XPAGILE SDC. Xpand IT is a 100% Portuguese capital-made company that works in the industry of Information Technology and is known as a specialist in several areas such as Business Intelligence, Business Process & Integration and Enterprise Mobility. Having a special focus on the international market, Xpand IT has made projects in countries such as Spain, UK, The Netherlands, Iceland, Ireland, Belgium, USA, UAE, Israel, Saudi Arabia, Kenya, India, among many others. The SME Leader status is assigned by IAPMEI and Turismo de Portugal, along with some Partner Banks, based on credit ratings and economic and financial guidelines. Xpand IT is grateful to all employees, partners and customers, who played a fundamental part in achieving this reference award. We believe it will not be the last one. The full list of SME Leaders and other information can be found here.